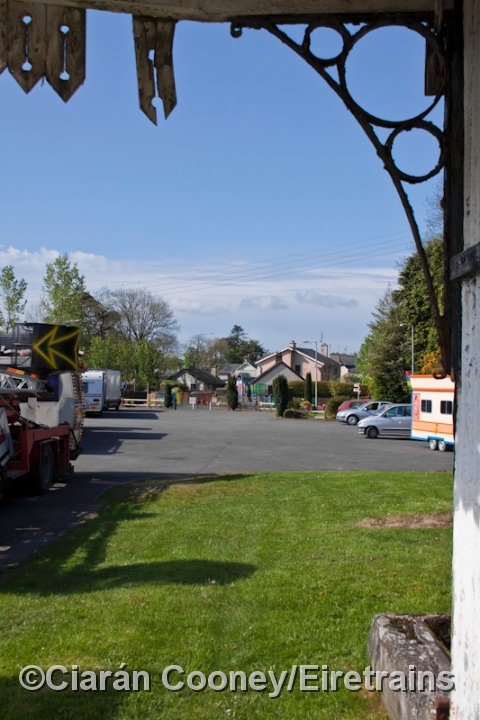 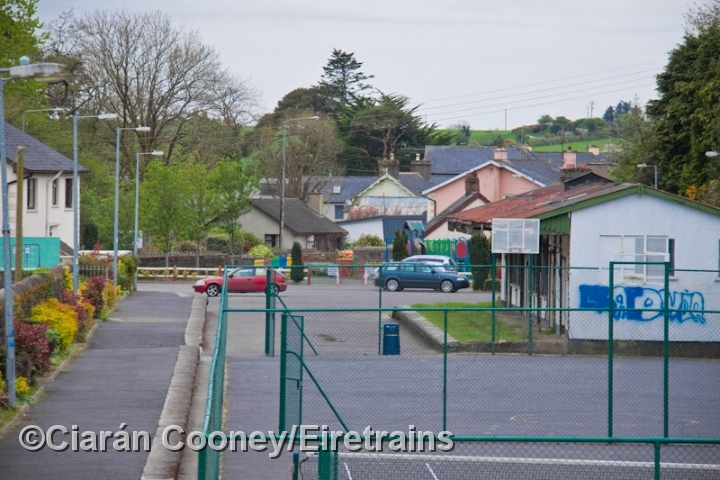 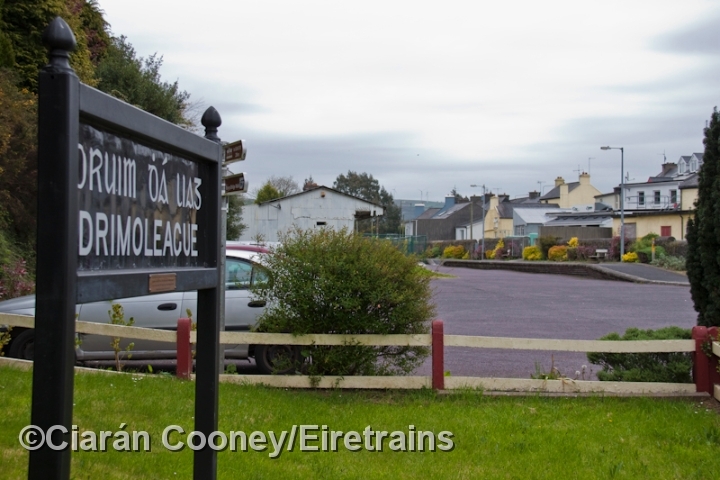 The large village of Drimoleague, west Co.Cork, was located on the Cork Bandon & South Coast Railway's main line from Cork to Bantry. 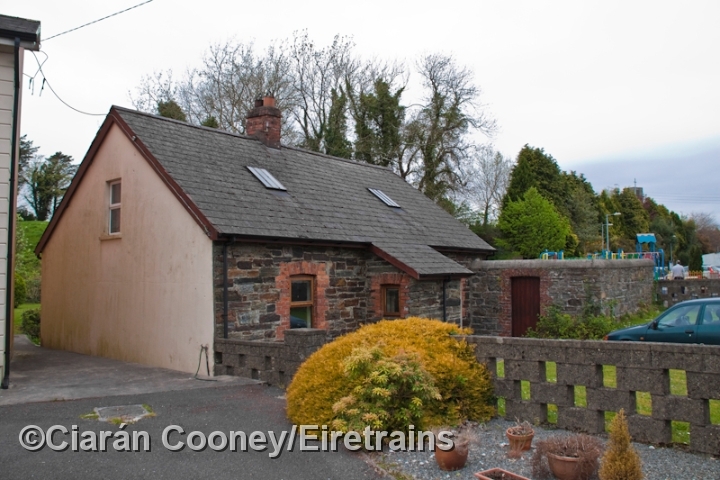 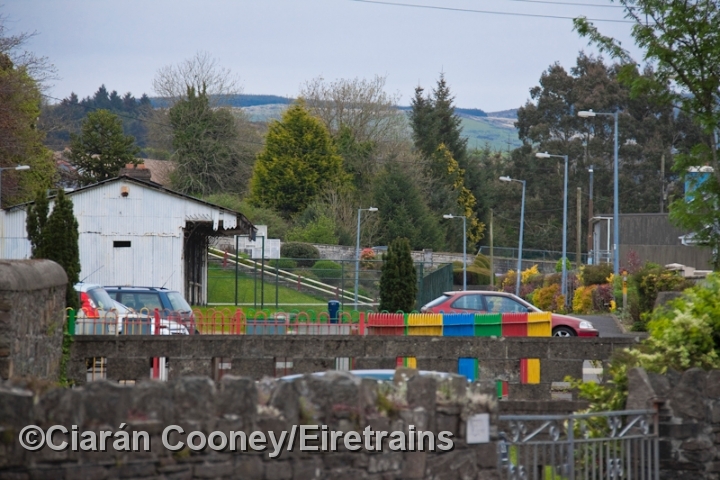 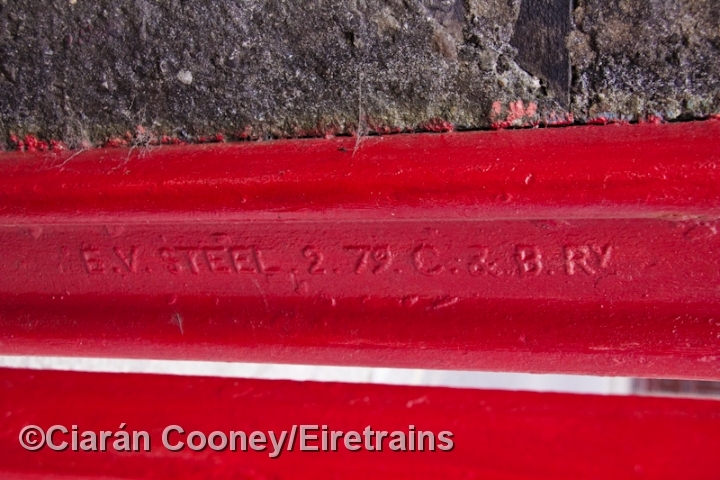 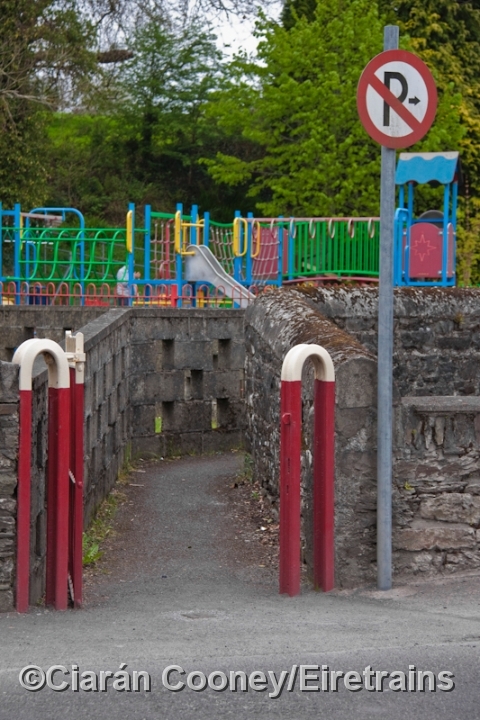 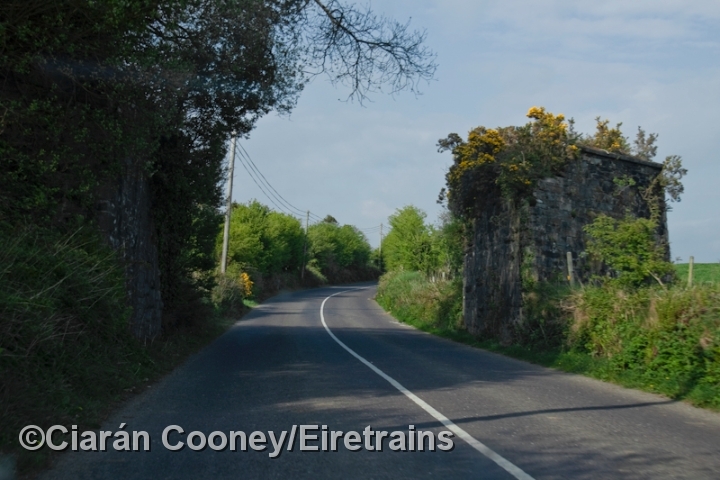 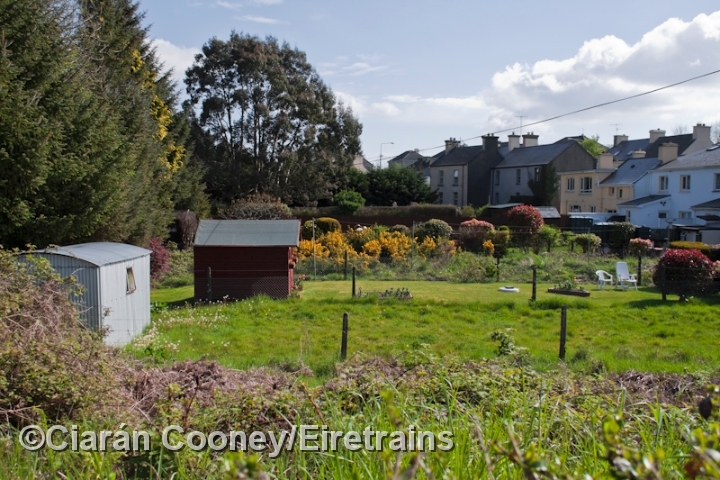 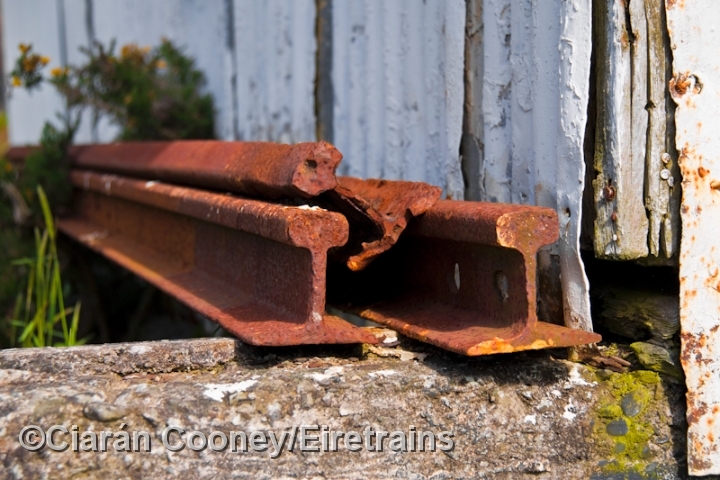 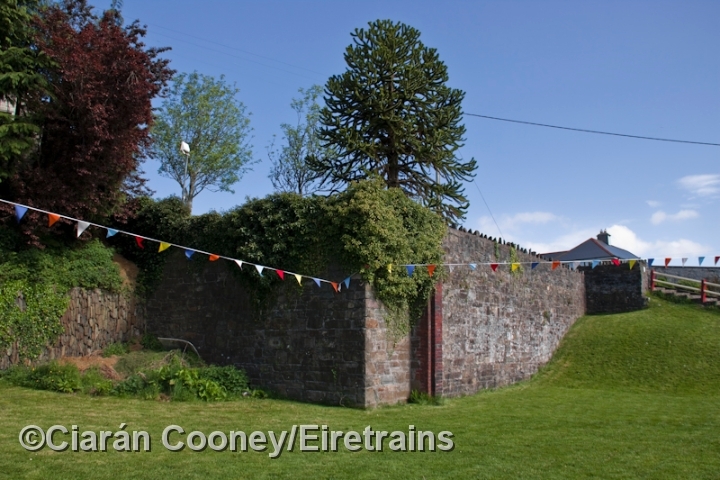 The line through Drimoleague was first built by the Illen Valley Railway, who opened the line between Dunmanway and Skibbereen in July 1877, and latterly worked by the CBSCR. 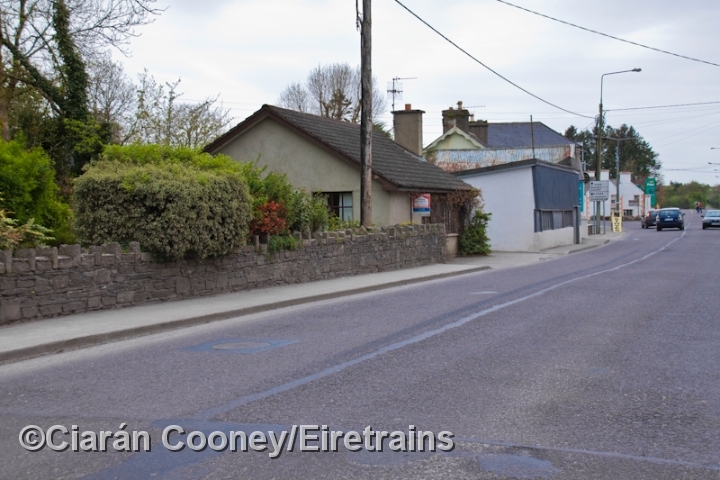 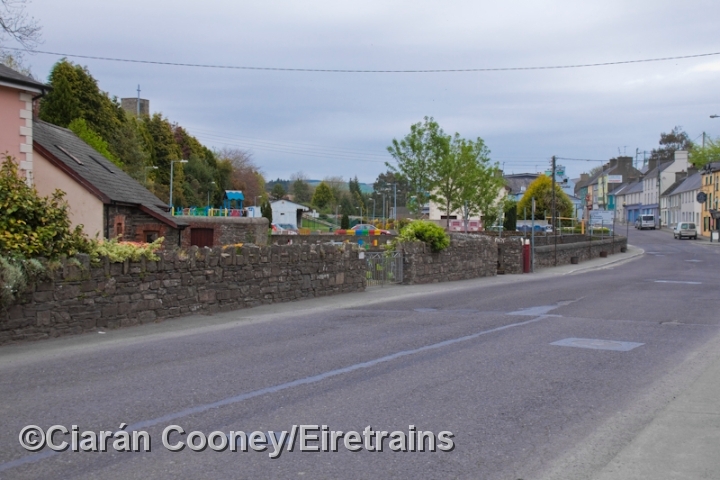 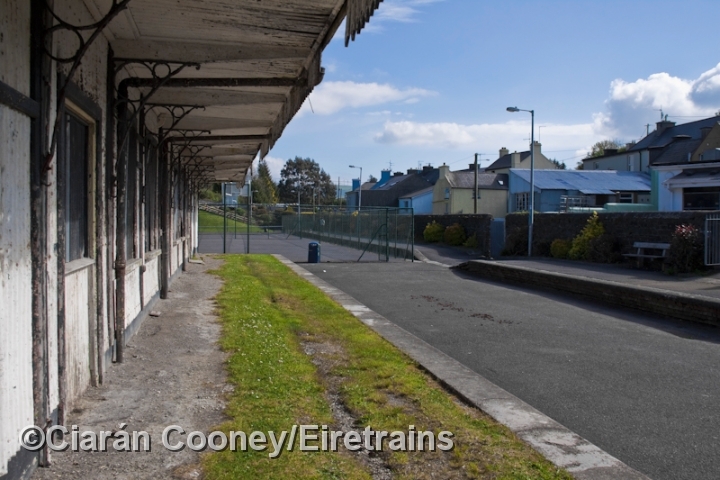 Drimoleague became a junction when the main line west to Bantry was opened in July 1881, the section of line to Skibbereen and ultimately Baltimore becoming a branch line. 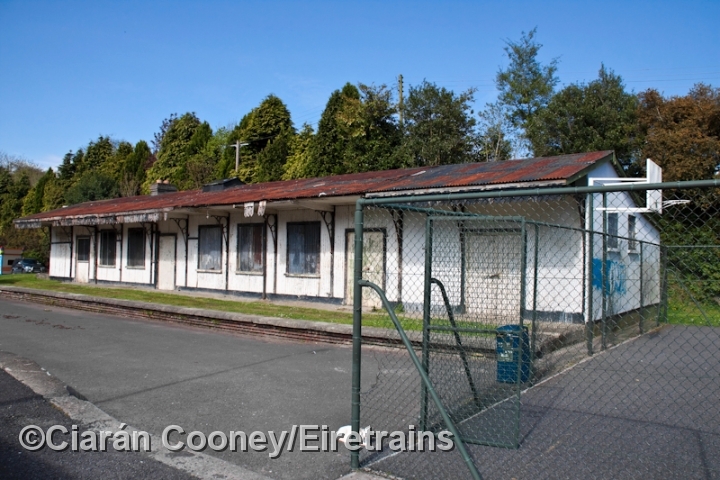 As this was important junction, the station at Drimoleague was large, consisting of three platforms and a large corrugated iron station building and signal cabin. 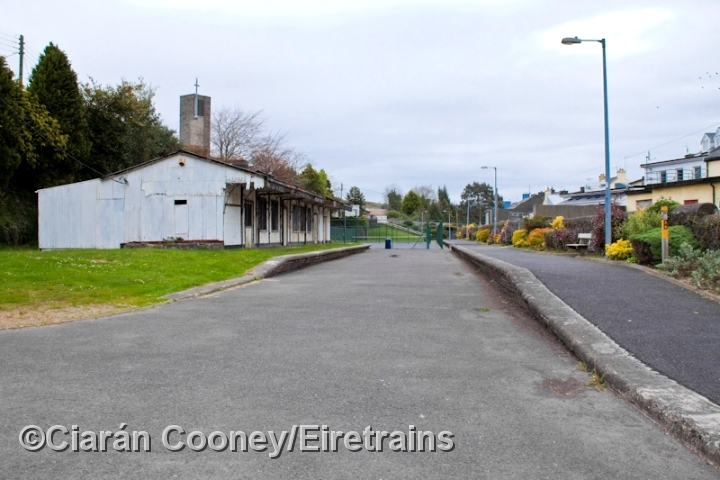 Today only parts of the up & down platforms remain, along with the somewhat run down station building, complete with awning. 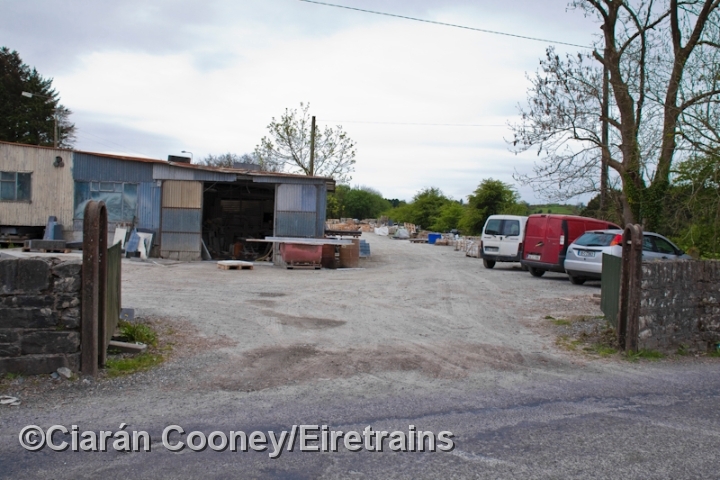 The road overbridge and adjacent loco shed at the east end have been demolished, but the gate keepers house at the western end remains. 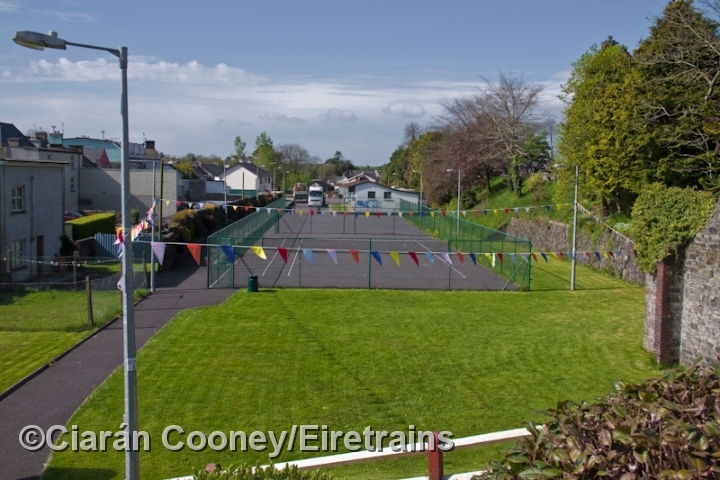 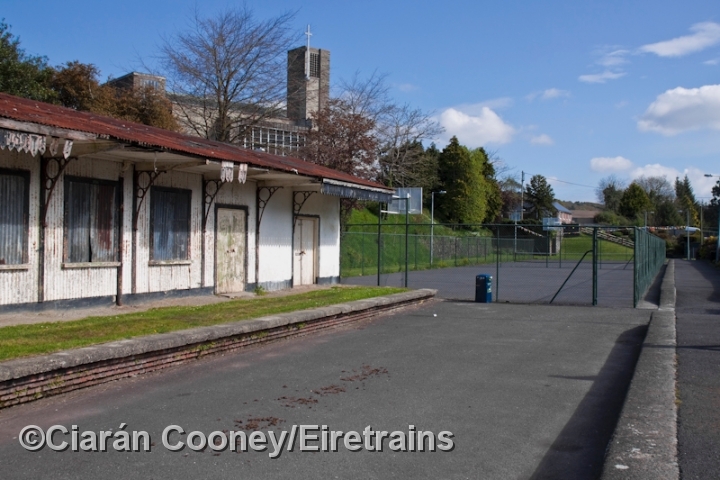 Part of the station site is now a tennis court, car park and playground.